Deep in the heart of the Himalayas, the Koshi River begins its journey as a tiny stream. It makes its way down the northern slopes of Tibet, gains momentum as it traverses Nepal, joins the River Ganges in the northern Bihar region of India, and then, finally, rushes into the Bay of Bengal. Reporting on climate change effects by locally-based journalists is helping to bring these far-flung issues to the attention of government officials, who have the power to do something about it, as well as into the homes of people around the world. Ramesh Bhushal is an environmental journalist based in Nepal. Currently a correspondent and coordinator for thethirdpole.net, a South Asian environmental online magazine, he travelled along the tributaries of the Koshi River in 2016 with photographer Nabin Baral. Together they reported on the challenges faced by people living in the region. (You can read more about their adventures here). Internews, an international media development organisation, has established the Earth Journalism Network to strengthen support for journalists like Ramesh Bhushal. ‘Media hubs can be credited with getting these stories to larger, more diverse audiences,’ says James Fahn, Global Director of Environmental Programmes at Internews. Today, as ordinary people are starting to feel the startling impacts of climate change effects on their lives, on-the-spot journalists are essential in highlighting its human dimension, particularly in developing countries. Not only are they well-positioned to raise awareness of the hardships people are facing at regional, national and international levels, but they are also central to sharing information about community-led efforts to build resilience in the face of climate change devastation. ‘If you really want to know what happened, don’t just check the records of the Romans who ruled, but try to find records of those whose villages were pillaged.’ That’s because those on the frontlines of circumstances, often outside of their control, are often the ones who know what is really going on. It is clear that there is a need today to go right to the roots of the problem, so that balanced, informed reporting can once again win back the trust of civil society. It is crucial for donors, governments and aid organisations to incorporate credible, solutions-oriented journalism, in the public interest. This is particularly important at a time when disaster risk reduction precautions could significantly limit the impact of earthquakes, floods, landslides and ocean surges on towns, villages and countryside. In addition, how information is created and consumed is undergoing a profound transformation in recent years, which, while creating some challenges for traditional media platforms, is also opening up many new opportunities for people near the action to raise their voices so that they are heard. 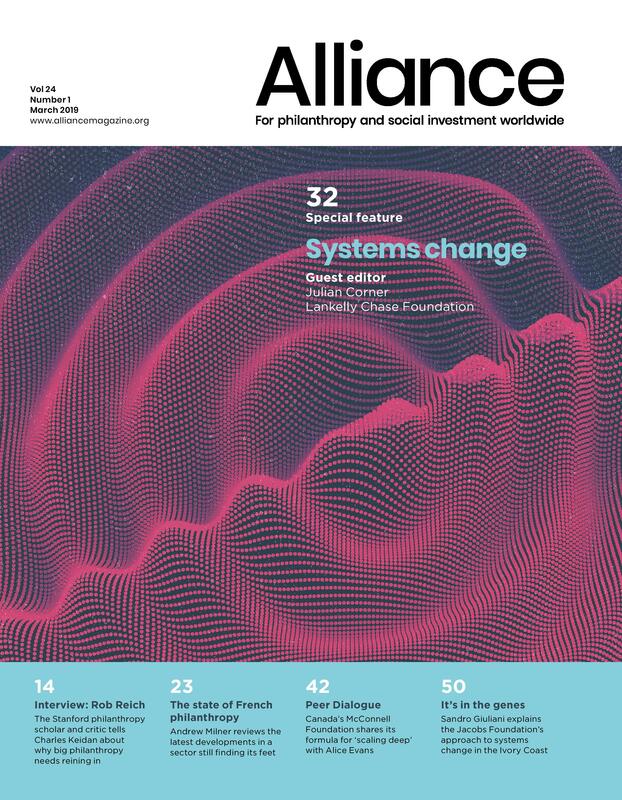 As the need grows more urgent to inform communities in a trustworthy manner how to build resilience in the face of challenges posed by a changing climate, new modes of information distribution have led to an explosive growth in the types of tools and technologies that help analyse, visualize and understand our world. This is creating opportunities for local media to cover climate issues, with a depth and breadth unimaginable even a decade ago. Many media hubs are supporting journalists to adapt to and benefit from this changing landscape. And finally, too, more and more philanthropies, as well as not-for-profit organisations working on climate justice are getting behind media hubs that support strong local reporting around the world. If you would like to know more about what philanthropy is doing to support coverage of climate change, please contact the Climate Justice Resilience Fund.